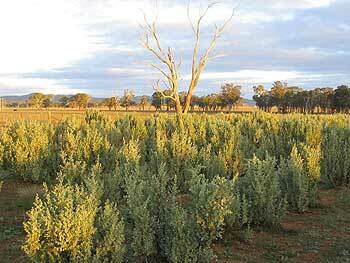 We are Australia's leading supplier of Oldman saltbush (Atriplex nummularia) seedlings and technologies. Our work involves the integration of native perennial shrubs, grasses and grazing strategies for sheep and cattle. Over the last 17 years our experience in land and grazing management, particularly with Oldman saltbush, has enabled over 380 landholders across Australia to unlock the true potential of their properties. On these properties we have established more than 50 million Oldman saltbush seedings and also improved over-all pasture grazing performance. With our help, these Australian grazing properties now benefit both economically and ecologically by using deep rooted perennial plants like oldman saltbush as a grazing base. Their businesses and land management practises are certainly profitable and sustainable. Browse our case studies to see what we can help you achieve. We're proud to be at the leading edge of both economic and ecological land management for rural Australia. Based at Narromine in central NSW we have state of the art nursery facilities and Australia's leading saltbush grazing research station. To find out more about our operation click here.